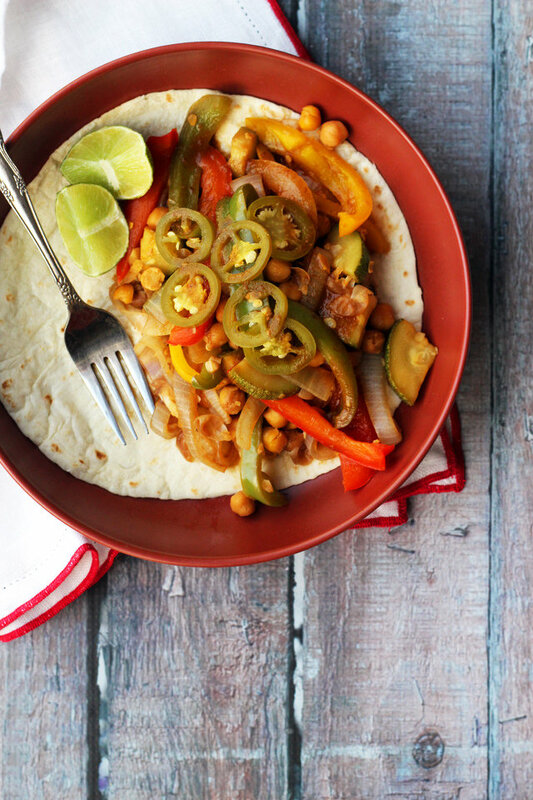 Successfully saved Chickpea Fajitas to your Calendar. You can also save the ingredients to your Grocery List. Chickpeas, bell peppers, zucchini, and onions are marinated for a few hours in a fajita dressing and then quickly sauteed to make an easy healthy weeknight meal of vegetarian chickpea fajitas.